This is the summary of consumer reviews for Hayward 500 Aqua Bug Above-Ground Automatic Pool Cleaner. The BoolPool rating for this product is Very Good, with 4.20 stars, and the price range is $127.90-$169.95. 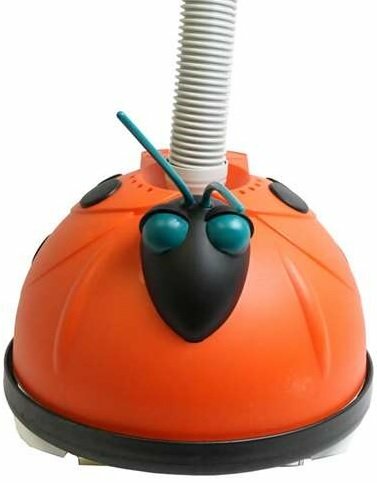 Hayward 500 Aqua Bug Above-Ground Automatic Pool Cleaner is designed to clean the pool bottoms of various sizes and shapes. As the name suggests, this cleaner is meant to be used on permanently installed above-ground swimming pools only. The AquaBug automatic pool cleaner provides you with easy, hassle-free operation. There is no need to empty or replace debris bags. And because AquaBug works with your existing filtration system - no extra energy-consuming booster pump is required. The bug is very easy to install, it takes less than 10 minutes even with the hoses. As the bug moves in circular motions, the water in the pool circulates thus keeping it clean for longer duration, thus avoiding the overuse of chemical cleaning agents. 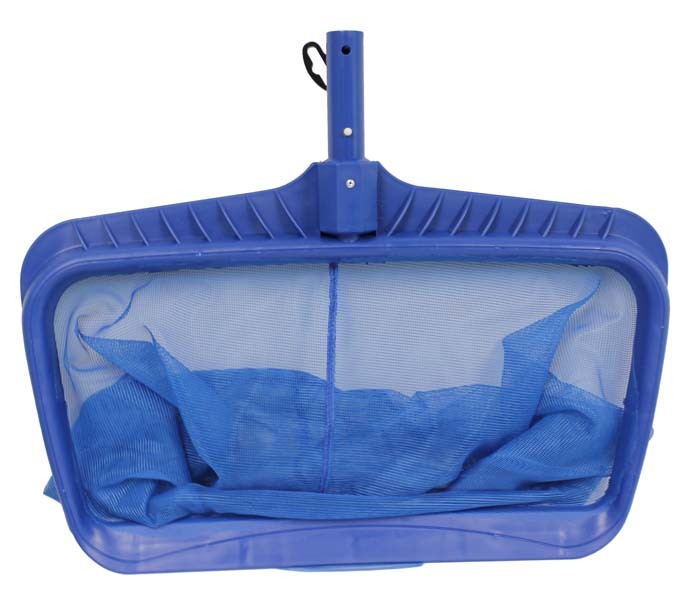 The bug is tangle free and works best when directly connected in the skimmer without the base. 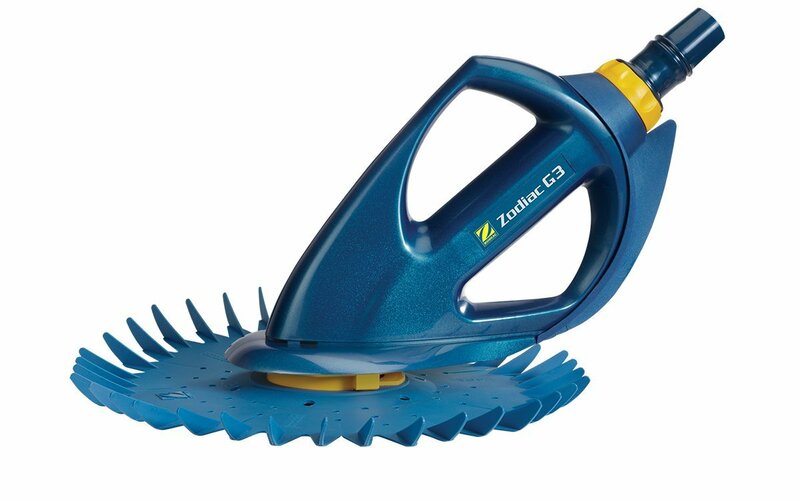 It picks up leaves, debris or any other dirt leaving the pool clean and fresh even on a non-smooth bottom, saving a lot of time which is taken in manual cleaning. However, some reviewers have expressed disappointment as they have to babysit the bug every time it gets stuck or moves in just one direction. This can be tedious and time consuming. The Aqua Bug cannot clean large debris, leading to manual cleaning. Overall, Hayward 500 Aqua Bug Above-Ground Automatic Pool Cleaner is a cool and smart alternative to the drudgery of manual cleaning. This product operates off the pool's existing filtration system and features exclusive SmartDrive program steering so it won't miss a spot. It is a recommended package for performance, price and attractive designs. More fun, less time cleaning!. She works great,really cute, cleans the pool in no time at all and does a thorough job. Cleans the pool and entertaining at the same time. After receiving this product in anticipation that it'd save me a lot of cleaning time, and more time to enjoy the pool, this's been a complete disappointment. dont have time to watch it, it's easier to manually clean the pool yourself. We bought another above ground pool here and decided to get Wanda the Whale this time. It also takes long periods of time to get the job done. Read the reviews and bought one. Tried it several times, you've to babysit it, it keeps going on it's side every 5-10 mins. Hayward Aqua Bug worked very well. This vacuum works well in the pool. works well in my above ground pool as advertised. I suppose generic cut-to-order stuff would work just as well. well worth buying another one. The upside: Barring any "large" debris issues as stated above, the cleaner works well. And Amazon offers a great price for this item as well. It gets the job done well, and the pool bottom is clean and the pool looks really good!. It works really great even with pine tree needles. The cleaner picks up leaves as well as any dirt. Unfortunatley, this product didn't work at all. Worksed several times then just quit working. It catches all small debris on the bottom and it works perfect with out Intex sand pump and saltwater clear system. Excellent product; since we purchased it, we don't have to bother to do any manual cleaning - Aqua Bug do the work for us. It says "just plug the hose into the swimming pool skimmer, and let this automatic pool cleaner go to work". I researched and researched before I bought this product and ended up buying it because most of the reviews were excellent. I was skeptical, but it works great! We did find; however, that it works best to hook the hose up directly into the skimmer - (without the basket in). this was a great purchase.i'm so glad i bought it.it was so easy to install and works like a champ. This whale doesn't do everything, it cleans and that's it, it's up to you to clean your filter because if you dont it will end up back in your pool. It cleaned my 16x32 oval pool perfectly. It's hard to not lokk at it like a toy and look elsewhere, but trust me for the money it works great cleans up everything and had no heavy draw on my pool filter. It cleans our 12x24 in about 1 hour. I dont know why some people complain about it not cleaning properly, its just like a Roomba, if you just let it go without maintnencing it then it won't clean well. No issues no tangles just a clean pool. We've a sandfilter pump with the intex salt water generator. Update to this summer, we placed the bug in the water, its forth cleaning cycle, and it no longer moves. With two children I'm over the top about a clean pool. Wanda the Whale cleans the bottom of my pool just fine. 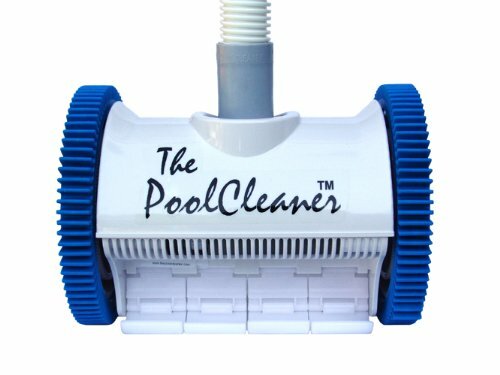 With the proper cork feet, this wonderful little cleaner does a fabulous job keeping my fiberglass pool sparkling clean (it even cleans the side up to three feet from the bottom) - at a price that's dramatically less than typical automatic pool cleaners. The whale seems to move faster than the Aqua Bug and still do a great job cleaning the bottom of the pool, even over the bottom wrinkles we couldn't get out. The bottom isn't perfectly smooth (some wrinkles and divets), but the product does a great job in about 2 to 3 hours. It did a pretty good job cleaning the bottom - not perfect - some scrubbing was still required but hey it still saved me a ton of time. We've a 15' round Intex pool & the bottom has some patches & wrinkles. This product does a good job. It constantly got stuck in the same place; so I'd to push it around with my foot in order to clean the whole pool bottom. I purchased Wanda to try to save time cleaning my pool - 24' round. The bottom isn't that smooth in some areas.